New York Times bestselling author of numerous books, having sold more than 2 million copies in 8 languages, Orrin Woodward is founder and Chairman of the Board of Life and Obstaclés Press. He also serves as President of the All Grace Outreach charity. He earned his Bachelor of Science degree in mechanical engineering from Kettering University (formerly GMI Engineering & Management Institute) and received business administration training from the University of Michigan. In 2017, he was listed on Richtopia’s Top 200 Most Influential Authors in the World. In 2015, he was listed in Inc. magazine’s Top 100 Speakers, and he was listed in Modern Servant Leader’s Top Leadership Experts to Follow in 2015. In 2014, he was ranked number 20 on Inc. magazine’s Top 50 Leadership and Management Experts. Kettering/GMI University honored him as the 2010 Entrepreneur of the Year (along with Chris Brady). And as an engineer in the automotive industry, Orrin was awarded four U.S. patents and won an exclusive National Technical Benchmarking Award. 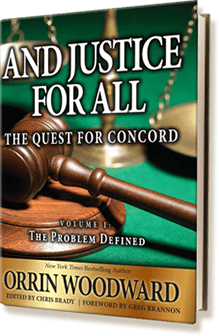 Orrin is also the former GUINNESS WORLD RECORDS® holder for the Largest Book Signing, with 6,786 copies of his book, And Justice for All signed in just six hours and thirty-three minutes. Orrin and his wife Laurie have four adult children and follow the sun between residences in Michigan and Florida. He enjoys boating, fishing, reading, writing, traveling, playing racquetball, running, and bodybuilding. Orrin is Founder and Chairman of the Board of Life. He is also a New York Times bestselling author and has sold over two million copies of his books in eight different languages. In 2014, Orrin set the Guinness World Record for the largest book signing with 6,786 copies of his book And Justice for All signed in just six hours and thirty-three minutes. Orrin is ranked number 20 on Inc. magazine’s top 50 leadership and management experts. In 2017, Orrin was listed among Richtopia's Top 200 Most Influential Authors in the World. Orrin was honored by kettering GMI University as the 2010 Entrepreneur of the Year (along with Chris Brady). Also, Orrin was listed on Modern Servant Leader’s Top Leadership Experts to Follow in 2015. Further, Orrin was listed on Inc. Magazine’s Top 100 Speakers. His first solo book, RESOLVED: 13 Resolutions for Life, made the Top 100 All-Time Best Leadership Books List and the 13 Resolutions are the framework for the top selling Mental Fitness Challenge personal development program. As an engineer in the automotive industry, Orrin was awarded four U.S.A. patents and won an exclusive National Technical Benchmarking Award. Everyone will be called upon to lead at some point in his or her life. The only question is, will YOU be ready? Get the book that started the revolution! Sooner or later, all of us will be called upon to lead in some capacity. Leadership skills are vital in corporate settings, small businesses, church, community organizations, and even at home. 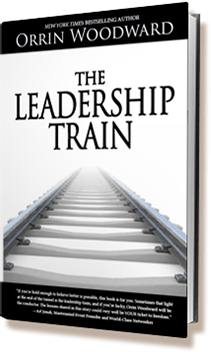 Chris Brady and Orrin Woodward have recognized this need and have jointly created an in-depth, step-by-step guide for developing leadership skills. 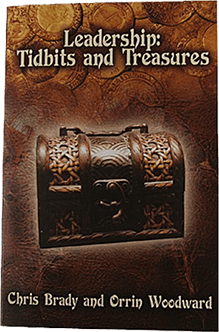 This book is full of prescriptive advice, as well as quotes and anecdotes that illustrate the authors’ principles. 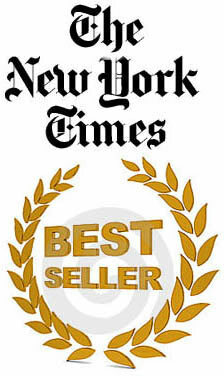 There is a reason this book is a #1 best seller. It very neatly and succinctly lays out an explanation of what it means to be a leader and what it takes to become one. This book is used by the University system in my state as a business and leadership textbook. It’s phenomenal. Well written and easy to understand leadership principles with historical examples. Defines a clear progression of characteristics and instruction from Foundational Qualities to level 5 leadership skills. Points to the critical need for Leadership in our world today. Excellent guide to leadership development that can be built upon for a lifetime. For more than 2,500 years, humanity has been on an insatiable quest, one that has only temporarily been realized in a few locations and for fleeting moments. That quest is for concord: that idyllic state of affairs in which neither tyranny reigns nor chaos rules. Why should peace and harmony among the citizens of the earth be so elusive? Why, when concord is accomplished, does it almost immediately begin to erode and swing toward either chaos on one side or tyranny on the other? Why do people fall again and again into the same old societal traps their ancestors did? And more important, how can the lessons from the answers to these questions be used to, once and for all, establish society on a firm foundation of freedom and justice for all? The answers to these questions are tantalizingly presented in the pages of this book. 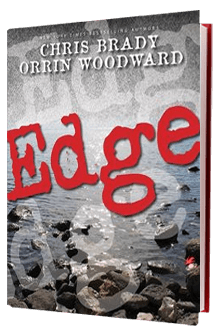 Orrin Woodward combines staggering scholarship and boundless creativity to distill the lessons of two-and-a- half millennia into a concise image. Readers will gain a clear comprehension of the root of the trouble and the historical underpinnings that, once understood, provide the final resolution of the quest. A wake up call for all Americans to stand up and make a change! Orrin Woodward and Oliver DeMille teamed up and created a most provocative business parable for our troubled times. 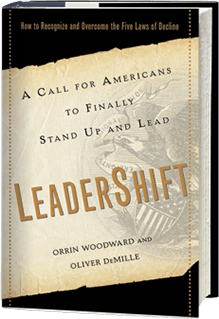 LeaderShift is the story of how David Mercher, the successful CEO of IndyTech, sets out to discover why the United States is losing its leadership edge and what he can do to turn things around and make America truly great again. In the process, Mersher and his team learn how the Five Laws of Decline are eroding the nation’s economy – quietly ruining businesses and big institutions – and what American executives and citizens need to do to put a stop to this. Above all, Mersher and his colleagues discover something many business leaders or citizens of free nations have yet to realize: Our world today is on the verge of a momentous LeaderShift, one that will reframe the twenty-first century and significantly alter the way we govern, lead, and do business. When Mersher and his team get help from a surprising source, the result is stunning and unexpected – and it’s one that concerned Americans will certainly reflect upon for decades to come. The next LeaderShift is almost here. Learn the secrets to living a successful life! All successful leaders have developed a set of core leadership traits that have helped them rise to prominence. It can take a lifetime of trial and error to learn these principles. 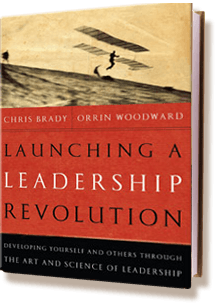 Orrin Woodward and Chris Brady will help aspire you to expand your leadership abilities. Whether you are a leader in your church, school, job, community, or in your home, the leadership principles taught in this book will help you discover your full potential. You must be willing to give up what you are, to become what you want to be. 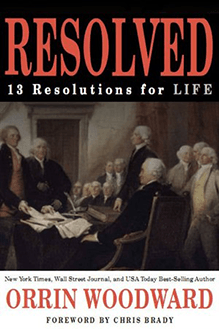 An All-Time Top 100 Leadership Book Selection, RESOLVED: 13 Resolutions for LIFE is a must read for anyone desiring to grasp the essence of the proven leadership principles of Orrin Woodward. Orrin’s first solo project conveys the essence of his powerful, proven, and life-changing leadership principles. Resolved looks back in time to recapture what made America great, while at the same time, it beckons men and women to step up and live by those principles today. It is at once a list of resolutions to assist a person in forging himself or herself a true leader, a textbook of instructions to guide in tackling life’s toughest challenges, and a fully inspirational handbook that captures the heart and soul of leaders who have lived and achieved using the principles conveyed in this book. Learn the 13 areas in life that, if focused on, will help you set out on your life’s purpose and begin to work on each area as you focus on living a successful and fulfilling life. If I’d only known then what I know now! In life you need an edge—the sooner you get one the better off you will be! EDGE is designed to address the concept of wishing you had learned things earlier in life. With bold graphics and eye-popping photography from around the world, this book is designed to be experienced, not just read! Filled with articles and hundreds of their most popular Tweets, bestselling authors Chris Brady and Orrin Woodward bring you training in the language of excellence as only they can. This book is an exciting adventure in itself, but it is also extremely important. After all, there is no age limit on success! Those especially on the younger side of life will love the EDGE book that promotes self-confidence, drive, and motivation. Gain advice and get true stories of success and timely information from fascinating people. Learn the principles of self-improvement at an early age. It’s a gift that will keep on giving from parent to child for years to come. Our world needs leadership more than ever. This book will inspire and assist you in playing your part. 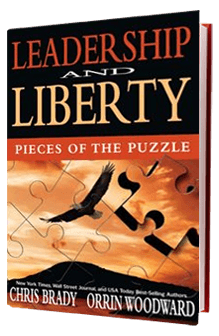 Designed to build upon the truths expressed in Launching a Leadership Revolution, not only is this book an impressive review of timeless leadership principles, but it also focuses on leadership as applied by the concepts of liberty and freedom. Most importantly the focus is on the efforts to win back as much as we can of what has been lost in our lands. Within these pages, you will not find any partisan pandering, overblown outrage, or worship of the “founding fathers.” Instead, you will encounter a delightful mix of leadership principles that any individual can put into action as part of a collective effort by the citizens of free countries everywhere. What you will discover is that there are concrete principles and valuable specifics that you can begin applying in your life and community right now. In life, most people surrender what is possible for what is comfortable. Family, Finances, Fitness, Faith, Following, Freedom, Friendship, and Fun. Find all of your 8 Fs and learn how to get the very best out of them in Life. Chris and Orrin team up to bring you a book that speaks directly to living a life that counts. Here they deliver pick-me-ups, thought provokers, and game changers and then pair them with amazing personal photographs. This will be the favorite coffee table book you’ll pick up again and again. Order your copy today and start living a much more meaningful life! 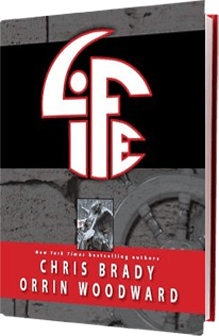 D. L. Moody said, “Our greatest fear should not be failure, but of succeeding at something that doesn’t really matter.” It is in that spirit that Chris Brady and Orrin Woodward have collaborated to give us a book that speaks directly to living a life that counts. Life is unlike anything Brady and Woodward have yet produced. Teeming with original photographs and over a year's worth of their most popular Tweets, as well as the poignant and insightful essays you've come to expect, this book is as much a work of art as the life it will teach you to live. The Life book received a Gold ADDY® Award in the Collateral Material category at the 2011 District 6 ADDY® Awards ceremony and came back to win a Silver ADDY® Award for the Life book at the 2011 District 6 Regional ADDY® Awards. 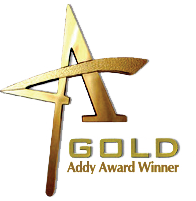 The ADDY awards are the world’s largest advertising competition that celebrates creativity in advertising. All aboard the Life express! Orrin Woodward’s book, The Leadership Train, uncovers the mysteries of network marketing and debunks any fallacies and misconceptions about its value and validity. This captivating, easy-reading narrative details one man’s complete turnaround after struggling for years with finding fulfillment in his career and putting his family relationships at jeopardy because of it. Sparked by an unexpected reunion with a long-lost friend and coworker who has gained much more peace, happiness, and success since he left his fast-climbing corporate position and built a large network marketing business, Bobby Davis embarks on a journey that helps him find his true purpose and much more satisfaction in his work and personal life. This is a dream builder’s dream come true! Not only do business owners need this book, but it needs to be put into the hands of any one you meet who might be looking for something more in life. Learn how to build a successful network marketing business from one the greatest networkers in history, and help others do the same. Discover how to handle pyramid and other objections and wipe out any doubts, untruths, and false beliefs that prospective members and customers, and possibly even you yourself, might have. Grab your boarding pass and bring along as many people as you can because the leadership train is going places fast, and you don’t want anyone to miss out! Become debt-free and even financially free! We call it "The Money Thing": the elusive, often difficult mystery of acquiring, keeping, and continuing to produce enough money to be able to live the life of our choosing. While prescriptions and advice about one's money are as available and varied as diet plans for one's physical health, financial fitness appears to be as rare a thing as 3% body fat and proper cholesterol. But it doesn't have to be that way. 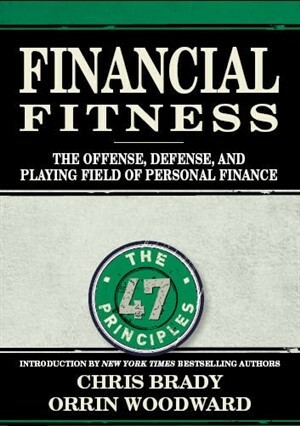 The principles of financial fitness are available for everyone. Just as with diets for physical health and fitness, where fanaticism and extremism are not only suspect but are unsustainable, so too with financial fitness. What works best is knowledge and application of basic principles. Learning and applying these principles, over time, can produce incredible results and, perhaps surprisingly, also be a lot of fun. What is required is an understanding of the principles behind the Offense, Defense, and Playing Field of personal finance. With a basic understanding of these three areas, which are rarely taught together as a whole, anyone can learn to prosper, conserve, and multiply the fruits of his or her labor. Reading this book will put you in a unique position. You will know something that only a few people in the world know. You will know the principles of financial fitness. You will know what to do to become financially healthy and how to set the example for others so they can do the same. You will know what the people around you need to do to get their financial lives in order and what your nation needs to do as well. You have the power to not only develop financial fitness but also to positively impact the lives of those in your community and nation. And the time to take action is now! We finally paid off the last of our debt and are now completely and totally debt free! Three years ago, we were $5,281,000 in debt and facing bankruptcy. Then, two weeks later, September 2013, Financial Fitness came into our lives. We've applied what we’ve learned through the principles of the Financial Fitness Program – we budgeted our money, we saved, and we paid off the loans with the income we made through Tom's regular work. All the while, we were reading, listening, and associating with precious people like our mentors and friends who introduced us to Financial Fitness, and as a result, we own everything free and clear; we don't owe a bank anything! We are ecstatic! Thank you Financial Fitness! In 2007, when I retired from the navy, my wife and I were $483,000 in debt. We knew that once I retired we had to do something, so we started chipping away at it, but it was like chopping down an oak tree with a baseball bat! We really didn’t have any direction, we just had a goal. Then we were introduced to all of this amazing information in the Financial Fitness Program, and we just started getting to work. In fact, just last week, we wrote our last check for $1,800 which eliminated the very last bit of that $483,000. It’s all gone!! We are so excited! It’s like having a new lease on life, and we cannot wait to see how far we can go and how many people we can help with all of this wonderful information that we have. God bless! Learn how to build security and prosperity for the future! 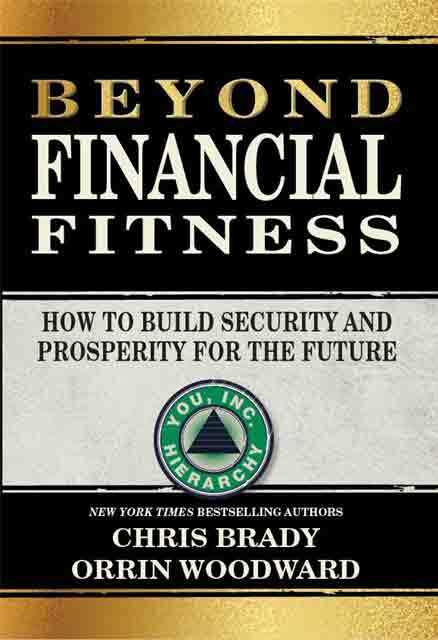 Beyond Financial Fitness is a resource that has provided me with a sense of relief, clarity, and empowerment. As I dove into the pack, I found unbiased information that has helped me answer questions that I've had for years about what to do with our money. I find myself returning to the information again and again. Beyond Financial Fitness contains simple steps that have helped me make better financial decisions almost immediately. In contrast to an appointment with my financial adviser, I now feel more in control of my financial decisions. Plus, I have confidence that learning from authors with uncommon financial results will help catapult me toward my own financial success. We appreciate how Beyond Financial Fitness is so much less about following markets, trends, and timing, and more about taking a methodic dollar-cost-averaging approach to building assets over time. Thanks for taking seemingly complex financial concepts and various instruments, and siphoning them down in a way we can understand, as well as the level of risk involved to help us better determine whether to invest in a given area. We would be well advised to make our 'Beyond Financial Fitness' pack our 'best friend forever'! in other words; make our BFF our BFF! 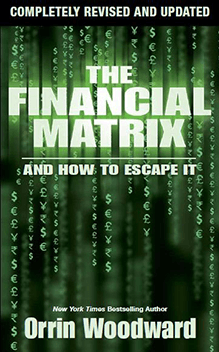 Escape from the Financial Matrix! Orrin Woodward exposes the Financial Matrix that imprisons you in perpetual debt and reveals the principles and habits that will set you free for good. The Financial Matrix is the best, most effective system elites have employed to control the masses. Because it is difficult to detect, the Financial Matrix easily seduces people into willingly enslaving themselves with debt. But Orrin Woodward discovered its existence and managed to free himself. Now his book brings you that same awareness and gives you the tools and principles to break free and create a life of abundance. In February of 2017, Orrin Woodward was listed at #92 on Richtopia’s Top 200 list of most influential authors in the world, next to his business partner and friend, Chris Brady, who was listed at #132. According to Richtopia, the list is comprised of authors who are influential and effective at having soft-power and the ability to be proactive, particularly in the digital sphere. The Richtopia authors list is compiled using a number of metrics combining to produce rank order. Two of the main influencers on a person’s ranking are their social media profiles and standard media coverage. With more than 2,500 attendees, over 25 of the world’s top direct selling leaders and speakers, and more than 100 Direct Selling companies represented, the Mastermind Event is the longest-running, most trusted, well respected and relevant Direct Selling Event in the World. For many years, Orrin Woodward has been one of the Senior Faculty and top speaker draws at this event. Throughout the weekend, top leaders from around the world discussed best practices, shared helpful tools of the trade, and inspiring success stories, and made lasting connections and friendships. The Mastermind Event, founded by networker Art Jonak, is a closed event for members of the network marketing profession where top performers share information specific to the profession that has been tested and proven. Jonak and his Mastermind team say that networkers from over fifty countries and one hundred plus different direct selling companies have attended their event and that many of the attendees, like Woodward, are proven leaders running world-class organizations, so newcomers and those at all levels have an opportunity to mingle with and learn from the best and brightest the profession has to offer. Woodward calls what Jonak has created a “win–win culture” where driven, passionate attendees from hundreds of different organizations lift one another and the entire industry up rather than tearing each other down. Orrin achieved his Bachelor of Science degree in mechanical engineering from Kettering University (formerly GMI Engineering & Management Institute) and received business administration training from the University of Michigan. Manufacturing Engineer, Product Engineer, Business Consultant, Entrepreneur, Public Speaker, Author, Publisher, Board Member. Orrin and his wife Laurie (married in 1991) have four adult children (Jordan, Christina, Lance, Jeremy) and follow the sun between residences in Michigan and Florida. Orrin is a founder and Chairman of the Board of All Grace Outreach, a 501(c)(3) charitable nonprofit organization, which focuses on spreading the gospel of Jesus Christ throughout the world and helping abused, abandoned, and distressed women and children. Orrin enjoys yachting, boating, fishing, reading, writing, traveling, playing basketball, running, and bodybuilding.